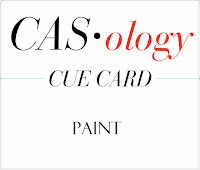 MASKerade: CASology 84 - Paint! 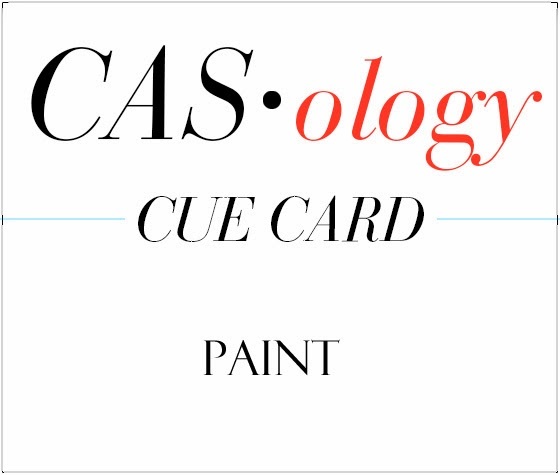 This week's CASology Cue Card is Paint! This one's just full of possibilities, isn't it? Paint chips, paint brushes, paint swooshes.... I decided to go with a paintbox. You know I love to use all the bold, bright colours at once, and it's easy to do that and still be CAS - just make sure there's lots of breathing room around your focal point! Fantastic idea to do a paintbox. This card is so fun, and I would spot it as your card a mile away. This is such a brilliant design Ardyth! 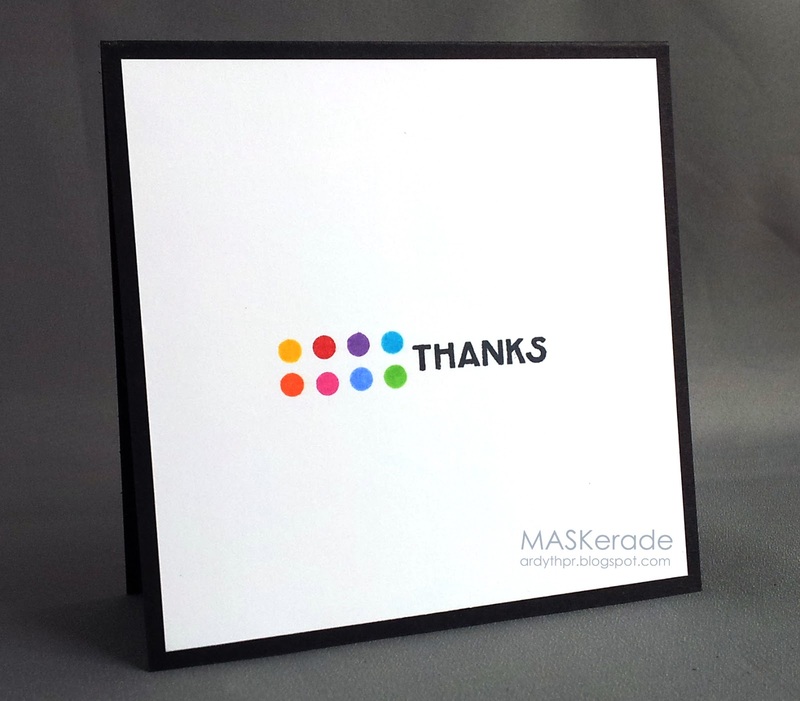 Love those colourful dots! A paint box. Didn't think of that. Just knew it was a colorful Artyth design. This is so 'You', Ardyth! I love the idea of a paint box...very clever! Awesome ... I guessed a set of watercolors before seeing the challenge!! What a great, CAS, idea for a card, especially to an artist. Ardyth, this is a wonderfully fun paint interpretation. It really does remind one of a set of paints. So simple yet brilliantly effective. You must have so much black and white cardstock in your stash! Such an amazing statement each week = Me AMAZED!